Examination Medicine remains a bestselling text among Fellow of the Royal Australasian College of Physicians (FRACP) candidates preparing for the Physicians Part 1 Examination. This updated edition of Examination Medicine builds on its popular original format with abundant new content. This highly respected medical resource is the perfect information source for students undertaking exam preparation. 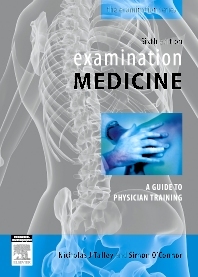 Examination Medicine, 6th Edition: A guide to physician training will be widely used by medical students as well as candidates for other specialty examinations involving medical clinical exams.